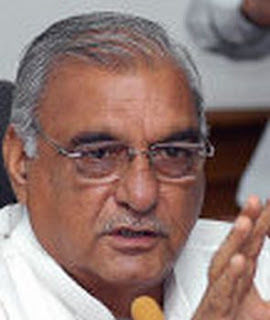 Haryana chief minister Bhupinder Singh Hooda said on Tuesday that khaps would not be allowed to take the law into their hands. The Haryana CM also said that the government would support the khaps if they take up social work. "Khap panchayat is not a legal body. We will support them if they work for the social welfare of the people. But nobody can take law into their own hands," Hooda said after a meeting with deputy chairman of the Planning Commission, Montek Singh Ahluwalia at which the annual Plan outlay for 2010-11 at Rs 18,260 crore for the state. During the plan panel meeting, member Syeda Hamid, who looks after the state in the Commission, mentioned that Haryana had to change its image as male-dominated society. "Khap panchayats don't have any legal sanctity. They are like an informal social organisation like NGOs.... As far as Haryana government is concerned, if somebody does anything good for social cause, we welcome that but nobody will be allowed to take law into their hands," the CM said. On Congress MP Navin Jindal's support to khaps, Hooda said that khap panchayats "have their own views. Individuals have their own views and we have our own." The CM's statement came at a time when khap panchayats are in the news for allegedly ordering honour killings and getting political backing in pushing their demand for amendment in the Hindu Marriage Act to ban same gotra (sub-caste) marriages.